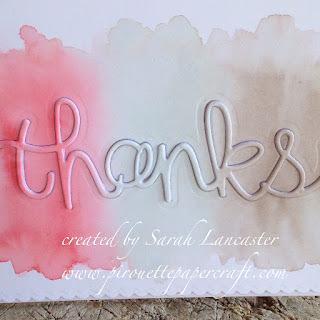 Today I am joining in with the Pretty Pink Posh Watercolour Blog hop and I have used the new Stampin' Up! 2015-2017 InColors to produce my card. 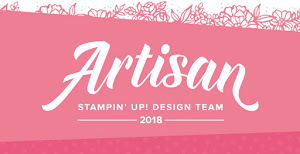 To create this I used the Stampin' Up! Write Markers, I chose Watermelon Wonder, Mint Macaron and Tip Top Taupe to create my card. I scribbled onto an acrylic block and then used my Aqua Painter to pick up the colour and transfer it to the watercolour card stock. When the card stock was dry I die cut it using the *thanks* die from the Hello You Thinlits die set. I hope you enjoyed my card and remember to check out my *sweet* launch party offer from Tuesday's blog post. So cute! Great color choices! Really love your subtle colors! Beautiful results!!! Love it. reminds me of tea time! LOVE this pretty watercolor ombre card! So pretty! Very pretty! Love how you kept the card so soft. Wonderful! Love your fun pretty card! Yummy card. Reminds me of the Neapolitan ice cream! The scalloped edges are the perfect compliment to this pretty and soft card! Very pretty! Great combination of colors. LOVE the soft colors!!! Beautiful!! Love the soft color combo. Thanks for the info on inlaid technique. Thanks for sharing. Love the softness and the raised die cut! Beautiful, soft, light and airy!!! Wonderfully done! !